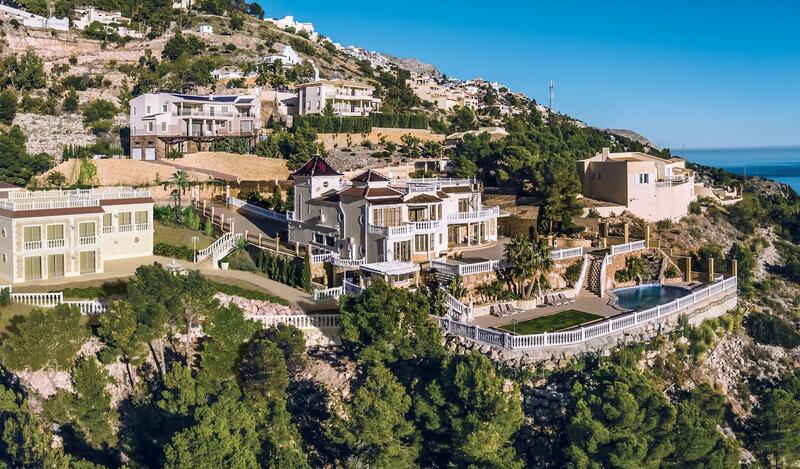 Quiet and comfortable luxury villa with an area of ​​1039m2 and a 782m2 guest villa in Altea on the Costa Blanca, located between Benidorm and Calpe and about 60 km from Alicante airport. The ground floor of the main villa consists of a hall, a living room furnished with the finest luxury furniture in the world decorated with hand-gilt elements, a home-made kitchen made in the Uk, a custom-made dining room by Spanish manufacturers and an office. The first floor has a hall and a lounge, the master bedroom with en suite bathroom with handmade porcelain decorations, a dressing room with a bathroom and a guest bedroom. On the lower floor are a sauna, a bathroom, a wine cellar and a storage room. The terrace of 199 m2 on the roof offers a magnificent view of the sea. 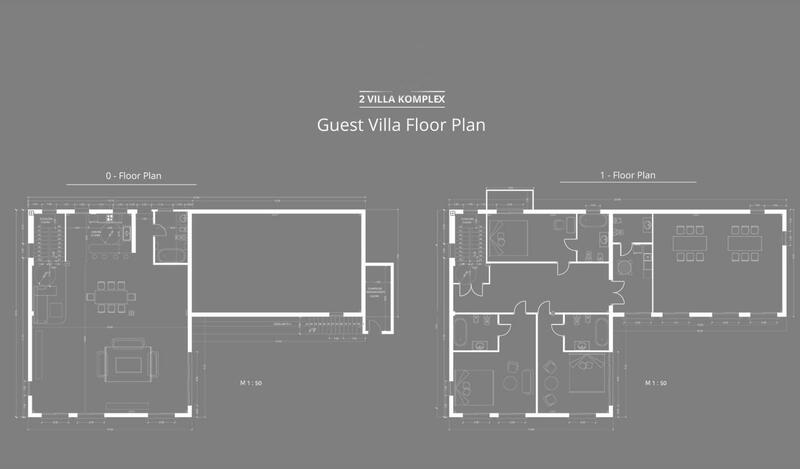 The guest villa under construction will include 5 bedrooms, 5 bathrooms and a spa area with indoor pool.